As we all know, token sales ended months ago, and the last update we posted was concerning the token listing and bounty distribution, since then, everything has been quiet regarding what is actually going on in Transcodium.Today we would like to update you on the project’s development and the progress made so far. TNS Guard : TNS guard is a c++ command line application built on libsodium which will handle all the encryption needs on the platform. 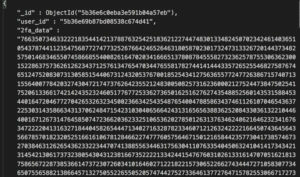 Using our own algorithm, every sensitive data will be encrypted before storing into the database. This will make it very difficult or almost impossible for anyone to view the raw data in case of a data leak or an unauthorized access to the database. TNS Mothership: Currently working on this project, the TNS mothership is the core & one of the most complex component of the platform. This component will handle the centralized account system, multi coin wallet, the builtin exchange and others yet to come. This component will not be open sourced. In the quest to provide a fee-less internal transactions, a different approach was adopted during the development which we believe must be protected for the interest of our users. 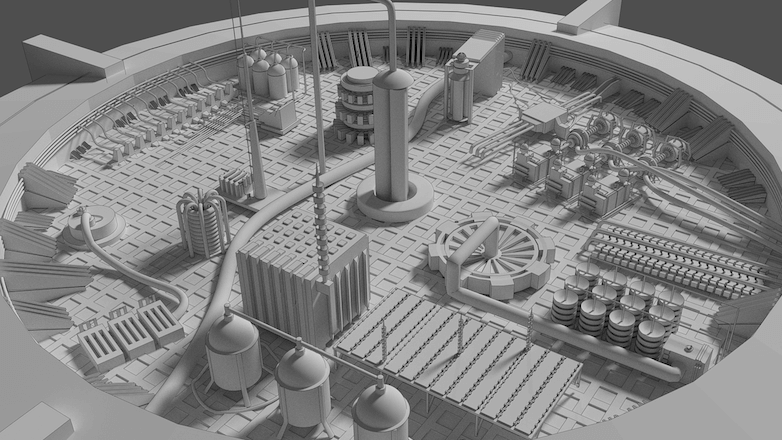 Below is the sub-component of the TNS mothership are been worked on. The new account system is designed to be secured and GDPR compliant. 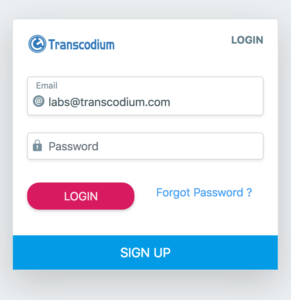 Transcodium will need a robust user account backend which will be used for multipurpose needs. 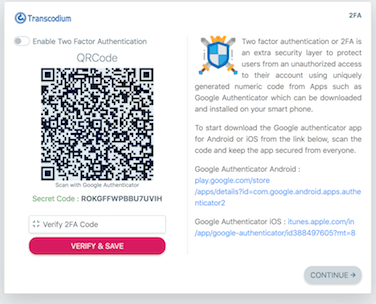 Users will be able to login into all Transcodium’s projects with a single account without the need for re-signing up. 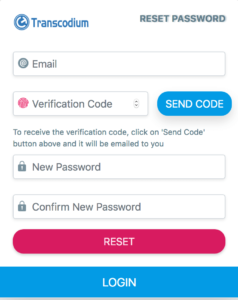 Unlike our current token sale’s account system, The new account will require user to verify his or her email before completing the sign up process as shown in the screen shot. This will help prevent issues of users using invalid email address during signup which many people encountered during the token sales. Security and data protection is one of our primary concerns, thanks to TNS gaurd, sensitive information on Mothership will be stored only after encryption using the state of the art encryption algorithm. This way, user’s data will be secured. This is also one of the major reasons which influenced the rebuilding of the new account system. Easy & secured password reset system, the new password reset system will enable users reset their passwords much faster than the old account system. Sleek UI for easiness and comfort. As you may have noticed, we decided to ignore material only design and go with a more modernized UI, which is a blend of material and the traditional UI based design for the web. Lastly, with the new two factor authentication system, contacting customer support will not be required in case you no longer have access to your phone for what ever reason it may be, you will only need your email address to get back an emergency code for login. 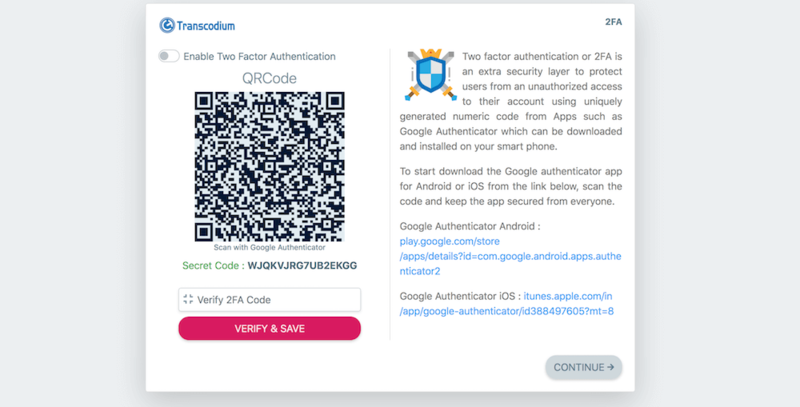 Every user may be required to enable two factor authentication immediately after signup to provide a greater security for his or her account. Since the repository of TNS mothership is private, we have prepared a special page on github pages to help track progress of development using the daily commit numbers.